Swisspers Cleansing Facial Wipes Original are cleansing wipes that quickly and conveniently cleanse, tone and moisturise the skin. The active moisturising ingredients cleanse without drying, leaving the skin soft and refreshed. They also remove all traces of make-up and impurities from the face, neck and eyes. Swisspers Facial Cleansing Wipes are pH balanced, alcohol-free and suitable for all skin types. I picked these up because the price was really affordable and because I'm constantly in need of makeup wipes. I have found that some of Swisspers makeup wipes have either been a hit or miss and I took my chances hoping these would be a winner. I like that the wipes come with a protective lid to keep the wipes from drying out and maintaining its freshness. The wipes are durable and are a decent size so I can use it for my whole face without having to use another one. I did notice when I grabbed the first one out of the packaging that it wasn't as moist as what I had expected. For me I'd rather have a wipe be more on the hydrating side than on the dry side. There's no point in me getting wipes that aren't moist or else it won't get the job done. When I used it on my face full of makeup it did alright but I found that it left some of my makeup behind. It wasn't that great at removing my eye makeup so I had to follow it up with my micellar water. I always follow up with a cleanser after using makeup wipes because I want to make sure that my face is completely clean without any makeup residue. Plus I find that my skin feels a lot better when I do wash it. I would say that these are average wipes and while it may take some of your makeup off it may not take all of it off. I would recommend following up with a foaming cleanser. So these wipes are pretty small, and they can be easily carried around. There isn't a super strong scent and so it's not offputting. It can take off gunk and crap from my face easily, but a little bit remains so I end up cleansing anyway. It doesn't strip my face like certain cleansing wipes do. It's not greasy and it doesn't leave weird residue on my face so overall it's a pretty good product at a decent price. I have an arsenal of makeup removal wipes in my bathroom and these are the ones I teach for when I’m wearing a full face of makeup that I want to remove quickly and efficiently and don’t want to stand in front of the mirror for ages and use multiple wipes. I also like how there is no greasy film left on my skin, my skin is not red or inflamed after removal and it’s left feeling moisturiser and supple. I store them upside down so that the next wipe I need to use is nice and saturated. I recently purchased an eyeliner which was waterproof and my daughter recommended I use the Swisspers facial wipes, Original, which she had already been using for a few years. 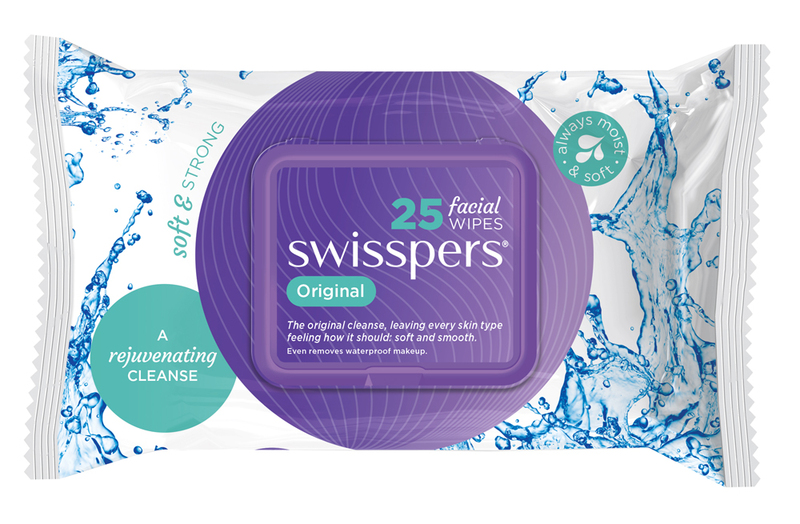 This was my second time using facial wipes and I must say, that Swisspers had a delicate fragrance and cleaned all traces of makeup with just one cloth. More importantly, my face felt fresh and smooth afterwards. I am now using Swisspers to clean my face every night because it is quick and efficient, ideal for busy women. Do not peal off the sticker- reseal to keep cloths moist for longer. Removing make-up at night, freshening your face in the morning or removing day make-up to apply evening make-up. It only takes 1-2 minutes to remove your make-up! I got original hoping it would not be fragranced, but it is. Not a fan of the scent (baby wipes? Just more pricey version). The wipes are not harsh, they are strong and have enough moisture to clean up the dirt. Little bit on a dry side, but still effective. I do not wear makeup but used them to remove chemical based sunscreen. As a pre-cleanse. Need to wash face after well, as the product leaves this chemical fragrance and residue (like a gentle soap would). Would prefer something more natural based or just plain micellar than wipes. Love the flip off lid and that is so convenient to carry with me and use when needed. Swisspers wipes have a scent similar to body lotion. It's a mild, pleasant smell. It takes a bit of rubbing to remove Benefit mascara, but it's very effective at cleaning off the rest of my makeup. My skin feels clean afterwards. They don't leave a residue on my skin, which is a complaint I've made about some other wipes. The wipes are wet enough to clean my whole face with a single wipe. REPURCHASE? These aren't my favourites, but I would repurchase if they were on sale. INGREDIENTS: Aqua, Glycerin, Glyceryl Stearate, Cetearyl Alcohol, Cetearyl Isononanoate, Cetyl Palmitate, Ceteareth-20, Ceteareth-12, Propylene Glycol, Polysorbate 20, Phenoxyethanol, Methylparaben, Propylparaben, Disodium EDTA, 2-Bromo-2-Nitropropane-1, 3-Diol, Parfum, Sodium Citrate. Swisspers has produced great products over the years, however, these wipes smell exactly like baby wipes. They do a wonderful job of removing your makeup, however, the smell irritated me. The price of the product is very low, under $5, and offers up to 25 facial cleansing wipes. They can be found in your local your supermarket store, pharmacy or even discounted department store. The packaging is very nice and simple which is very nice. I love these wipes, they are simply great. The packaging is nice and it is cool they added the water to signify hydration. The wipes stay moist in the package even once you open the package as long as you do not leave them in the package for months. However the wipes will dry out once you open the pack if you leave them for months (Opps). I would recommend to use the wipes within two months of opening just to maintain freshness. There are 25 wipes per package and I use 1 wipe per makeup removal. I find one wipe is all I need as I can use both sides of the wipe. The wipes are gentle and do not feel abrasive or harsh on the skin. They leave my skin as clean as when I do a full cleanse. I do feel clean and moisturised after the use of these wipes. I feel confident that I am caring for my skin when I use these wipes. These wipes come in a pack of 25 and have a plastic lid that snaps shut to ensure the wipes don’t dry out. I do prefer this packaging to wipes that just have a flap that sticks down as I find they lose their stickiness over time making the pack hard to keep closed. I know that using cleansing wipes isn’t the best for your skin (and I’m slowly trying to wean myself off them)! That said, when you’re in a hurry, there’s nothing easier than grabbing a wipe at the end of the day to make do until you can do a proper cleanse later. I’ve tried many wipes and the Swisspers original is one of the better ones. The wipes themselves are quite thick and very moist. They remain moist all the way to the last wipe in the pack which is the bugbear I have with a lot of other brands. While this wipe does an ok job at removing the bulk of my makeup it does leave some traces behind (I can tell when I do a ‘proper’ cleanse later). While it isn’t the most effective wipe I’ve used it certainly isn’t the worst. One side effect I did notice though was that these wipes were a little drying to my skin. Nothing too terrible, but still a surprise as I don’t think I’ve encountered that in other wipes before. The pack does say that it’s alcohol free and non drying so maybe that’s just me. I may repurchase in a pinch (as my preferred brand isn’t available in stores and have to be ordered online) but otherwise I think I’ll continue to try weaning off the wipes altogether and switch to something better long term. Probably one of the best makeup wipes I've used! I really, really like these makeup wipes. They smell soooo good and are ideal for sensitive skin - you can wipe your face over and over and wipe all over and around your eyes and it won't sting, irritate or dry your skin out. It takes off makeup really easily. It is good for taking off waterproof makeup without much fuss. The packaging is really sturdy, so no chance of your the lid coming off or flying open and all your wipes drying out (which tends to happen with a lot of other makeup wipes with shoddy packaging). I am so impressed by these makeup wipes and will definitely be repurchasing it quite frequently.  Really good for the price and a product that I would highly recommend! I'm happy to use cleansing wipes when I'm unable to wash my face properly. I thought the packaging was very smart with the sticker cover over the opening like most wipes have as well as a plastic snap lid. The wipes didn't dry out at all in the time it took me to get through the pack. My skin felt refreshed after using these and I experienced none of the stinging I've had with wipes in the past. I can't comment on how moisturising these are as I always follow with a moisturiser, but in a pinch these will do to remove makeup. Anyone after a quick refresh. I received these in a beauty bag and was excited to try them. They come in the typical packaging for wipes, I didn't have a problem with them drying out but found they were not a super moist wipe to begin with. To be honest I'm not a huge fan of wipes, I feel like they never truly remove all of your make up and have to re-cleanse anyway although they are handy when travelling. I certainly remember the purple packet of wipes from a long while ago and bought it on sale at Coles. Very pretty packaging with a mild scent and cleansing , yet after a couple of days the wipes nearly dried up and all you could smell was the scent . Perhaps it was a bad batch and hence the sale, yet it has deterred me from looking at the brand and buying another one . Otherwise I'm sure it would have been good ? Use it quickly before it dries. As far as wipes go I really enjoyed using these. I found them extremely refreshing and cooling on my skin. They removed almost all traces of makeup including mascara. After use my skin was a little dry but nothing that a little moisturiser couldn't fix. They were also gentle enough that i didn't experience any bad reactions. The scent is lovely and pleasant but I could probably do without it nevertheless. I would recommend these wipes for ad-hoc use but certainly not daily use. I tend to only use them if I am too tired to properly clean my skin. I leave them next to my bed with a light moisturiser so I can complete a mini skincare routine when required. Normal, oily and combination skintypes. I wouldn't recommend for dry or mature skin. Thank you for your recent post concerning our Facial Cleansing Wipes 25.
the time to post about our product. and being suitable for all skin types. Thanks again for your feedback. We greatly appreciate it. I received a sample size (5) pack of these wipes in my Priceline goodie bag. This gave me a good idea of what they would be like to use. The package is resealable and the small packet would have been ideal for travelling or going on a mini vacation. I found the wipes very moist, soft and generous in size, they were more than adequate to remove all my make up off. I didn't find that it removed my water proof mascara off too well, I still had that faint black smudge under my eyes. I didn't mind the baby powder fragrance and overall they were quite pleasant to use. I noticed that a couple of reviewers mentioned stinging but luckily I didn't experience that. The wipes didn't irritate my eyes either. Overall, I did enjoy using them, but I still prefer to do the double cleanse. So this is great for convenience but it won't replace my usual skin care routine. These are a good wipe, a little rough in comparison to others I have used. But still, they get the make up off well and make my face feel fresh. I love these facial cleansing wipes as not only are they inexpensive compared to other leading brands but they actually work, even removing eye makeup. Whenever I travel or have overnight stays somewhere, I make sure that I have a pack of Swisspers in my makeup bag! Overnight stays, camping or anywhere where it is a pain to have to take along cleansers and toners.